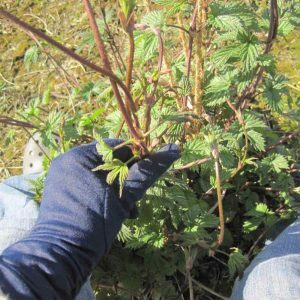 Right now it’s twiddling time for British hop growers and many hands make light work. 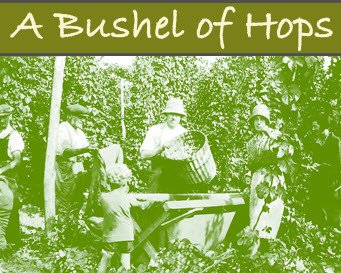 This is always true of any seasonal work in a hop garden, but especially when training hops the first time around. 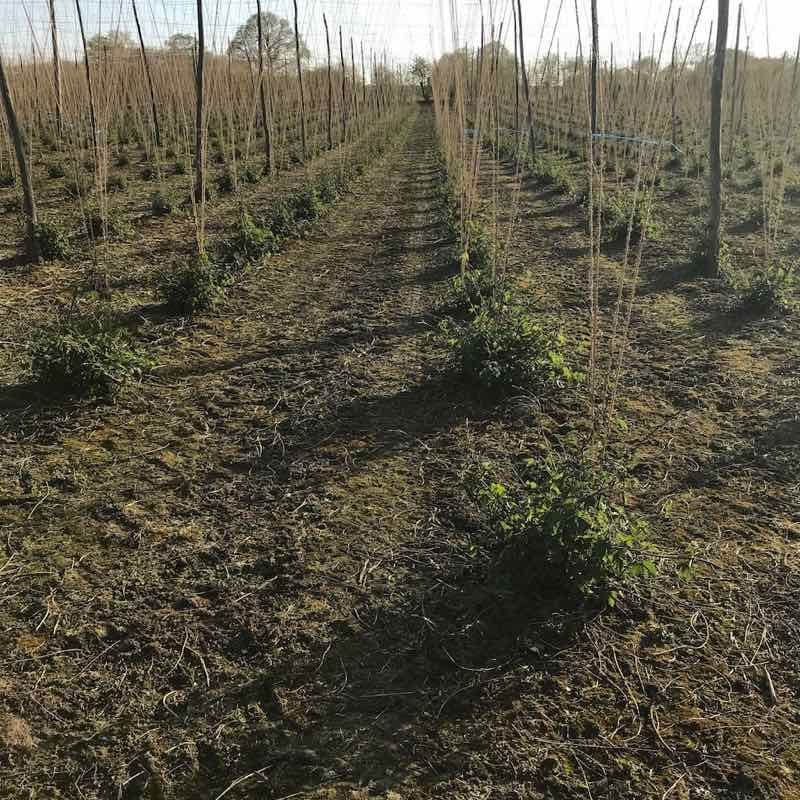 It can be quite daunting to sit in the middle of a hop garden on your own surrounded by a sea of plants, all needing to be ‘firsted’ immediately. 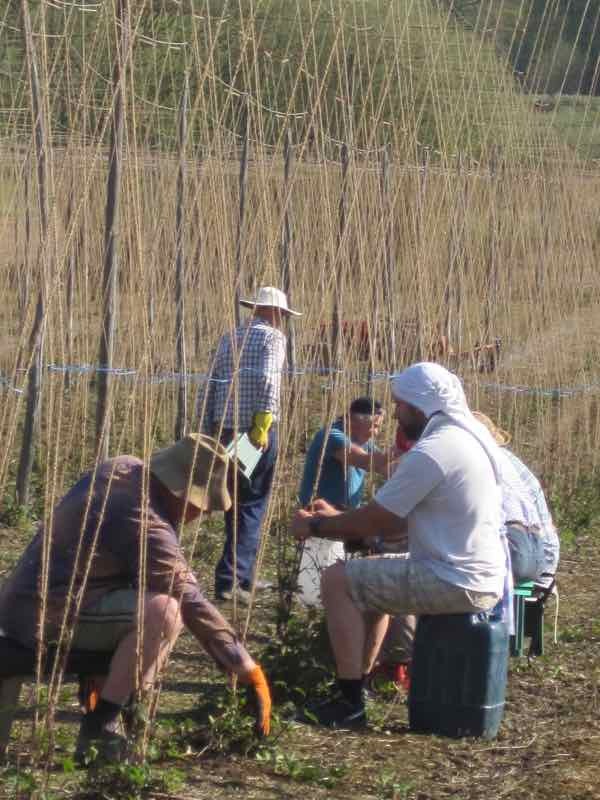 There is an optimum time to twiddle the hops and if the weather warms with perfect damp conditions they can quickly get out of hand, quite literally. This week some of the varieties have been at that perfect stage. Like Goldilocks’s porridge they were not too short and not too long but just right. 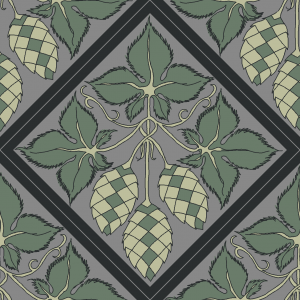 A twiddler’s eye view of a hop before and after twiddling. Depending on the variety we put up between 4 – 8 bines. The variety shown is Admiral, a high alpha hop with a clean marmalade aroma. 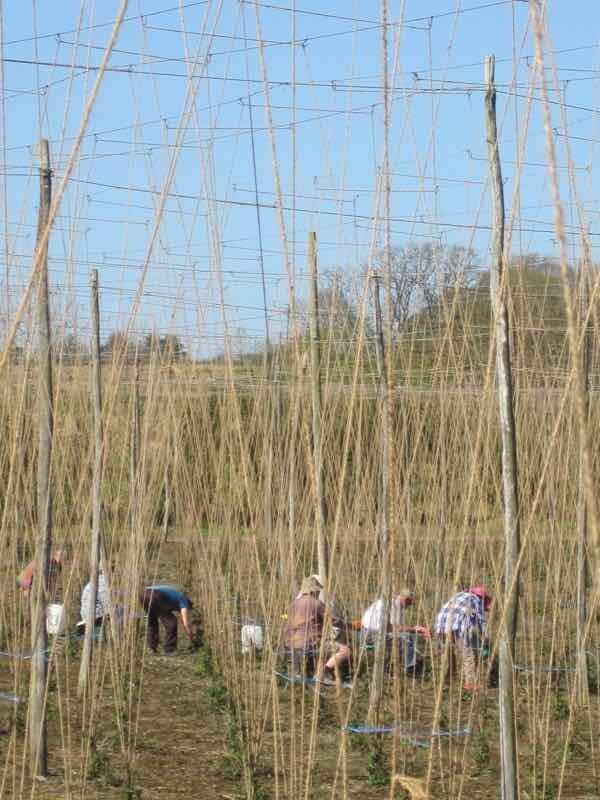 Once the correct number of bines have been put up the strings, excess bines are pulled out and left beside the hop hill. 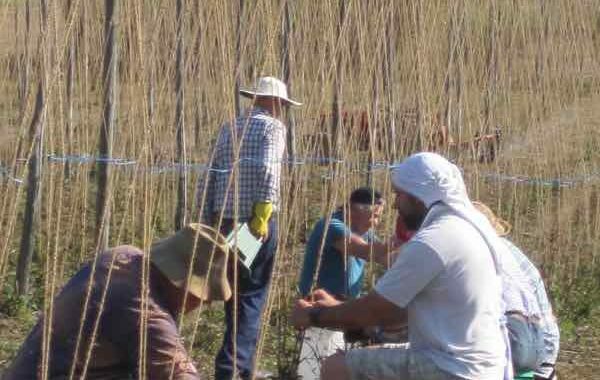 We try to pull the whole bine off at ground level, I find two hands at the base of the shoot works best. 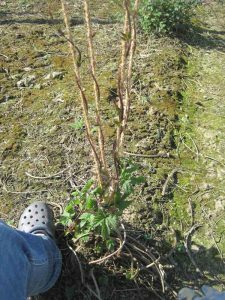 If the shoots are only broken off, then the piece left will send out fresh shoots from each leaf axil, making even more work next time around at seconding. 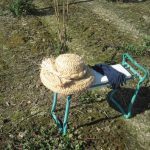 Very little equipment is needed, this week just hats, gloves and stools. Sunny, warm days spent outdoors with blue skies and good company, twiddling time is a pleasure. 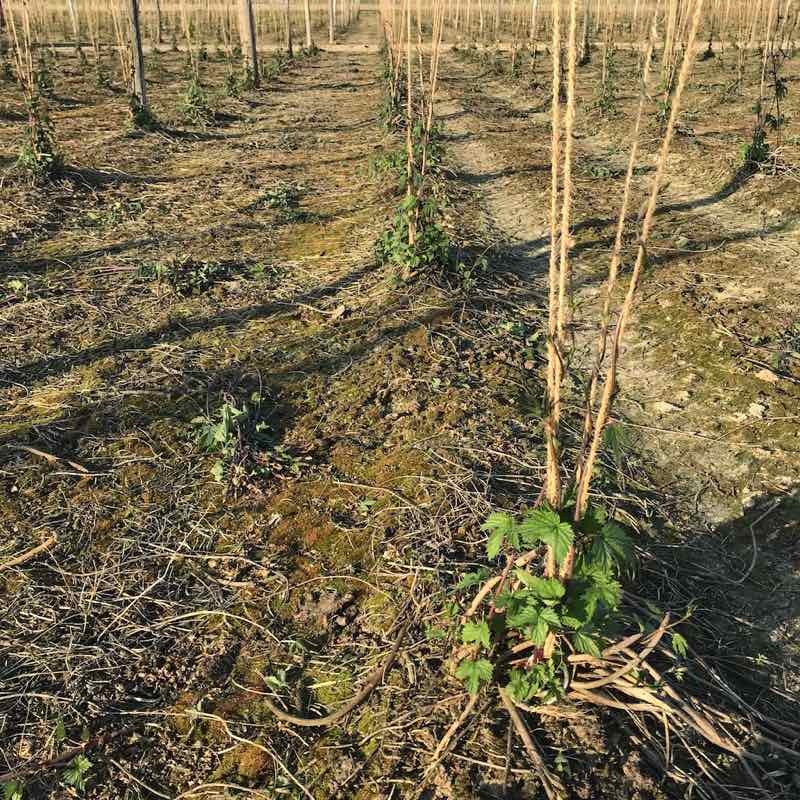 Below is an area of hops all firsted, you can see the little piles of unwanted shoots left beside the hop hills.